Nic is back once again to help you with your 2016/17 BBL Fantasy team with players to avoid. This article is pretty self-explanatory. Here is a list of players you should not be touching for your round one BBL Fantasy team for varying reasons. Of course, most of these aren’t a hard and fast rule so feel free to be rebellious and select them anyway! Basically… just don’t pick anyone in the test team – or anyone who plays for the Sydney Sixers because it would seem their entire squad is the test team. These guys might play one or two games max. You’re much better off looking elsewhere. Look out for the full test squad and cross them ALL off your list. Watson is out until after Christmas with a calf injury. He’s worth bringing in when he returns, but stay away for the time being. 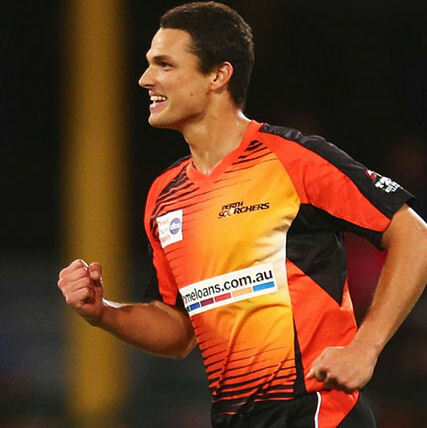 The Scorchers’ two big quicks are both also on the injury list so don’t go picking them. If any of you spend $95,600 on Daniel Worrall I will find out where you live, break your door down and give you a stern talking to. This is more of a feeling than anything. Etihad Stadium was a nightmare for spinners last season and that could see Narine being hit for some big scores. Pick him with caution. He may seem tempting at $45,400, but Botha is not a player who scores well historically. He bats too low in the order and his bowling isn’t good enough to warrant selection in your team. Doherty was once the number one short-form spinner in Australia and even has a BBL hat-trick to his name. Now he finds himself behind both Sunil Narine and Brad Hogg at the Renegades. Doherty is priced at $45,200 and was a victim of Etihad Stadium’s turf last season. As I’ve tried to make abundantly clear – spinners don’t score well there… and yet the Renegades have three of them… go figure. I’d hold off on picking Mitch until we see what kind of performance we’re going to get from him. He’ll probably be in good shape, but he’s not the kind of bowler who traditionally has a good economy rate and that can be vital to BBL Fantasy. Give him a few rounds before making your decision. Hey guys I’d like some feedback on my team, with $44,000 left. (E.Morgan & D.Hughes) or (J.Roy & K.Patterson/Blizzard) cheers! Team looks fine! I’d pick Roy and Patterson. Also what’s your opinion on starting with Russell and should I have Sangakkara instead of Patterson and should Dunk be my second keeper or someone else as he could struggle to get a game for the Strikers. With the fast bowler injuries at the scortchers would it make Willey value even at his high price? He should still be good value anyway, good bowler and batter. True, I think he is worth the punt. Willey will miss the end of the season though due to international duties for England. Who should I start with, Pollard or Cutting? Cutting. I think he is a greater chance of bowling than Pollard, giving their bowling stock available. Blizzard, Patterson, Harris or Hughes? McKay doesn’t bat and doesn’t take enough wickets to be a consistently high scoring bowler. You do realise he took the most wickets last year…? Can I get some thoughts on my team. And I have 7 thousand to spare. Hey Nic, really useful article. G’day, can I please have some comments on my team. Any different suggestions will be useful and taken into account, thanks. I’d recommend harris over patterson on field because he will open and has had great shield form. Is anyone concerned about Haddin sharing the glove with Billings? I dont think the sixers will do it for any circumstance except a hadds injury. International players rarely like to take the gloves in these tournaments from memory. Who to replace Mitchell Johnson with Pollard,Wright,Stonjs basically anyone 70k and lower as a bowler or batter? I think I am pretty set on this team, any thoughts or suggestions? What is a good/average team score for bbl fantasy?